We're looking for motivated Cave Scouts! The SimsCave > Forum > SITE ANNOUNCEMENTS > Announcements - Please read before registering > We're looking for motivated Cave Scouts! 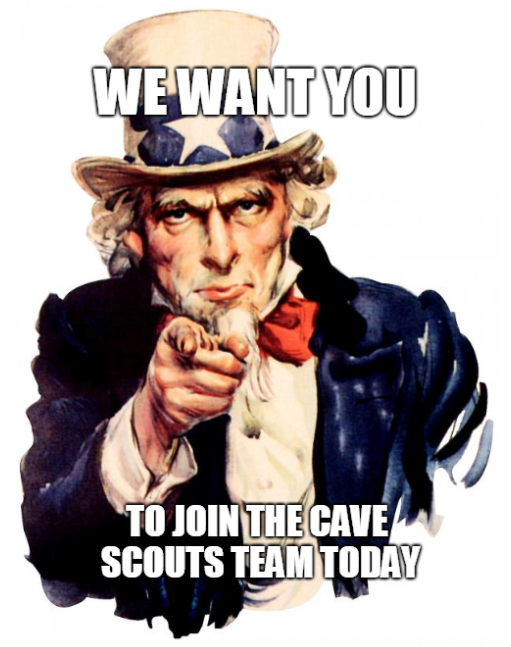 We're looking for new members to join our amazing Cave Scouts team to post their finds to the Updates threads! If you play the game, love looking around for new downloads for it, love sharing those finds and have a few hours every week to spare posting them you are be the person we're looking for! It's a plus if you know how to make links appear as words like this and know how to add an image to a post but if not don't worry because we'll teach you how to. To volunteer send Sorasunao a private message to let me know that you're interested and you're pretty much hired for the task already. This applies to all three games so 2, 3 and 4, please mention which game you're interested in doing the updates for when sending me a message.